Newflands Hoki Oil - A Great Tasting Omega Fatty Acid For Pets! 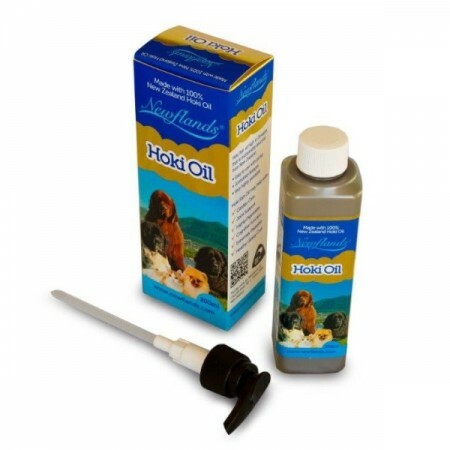 Newflands’ Hoki Oil – A Great Tasting Omega Fatty Acid Oil That Your Cats and Dogs will Love! 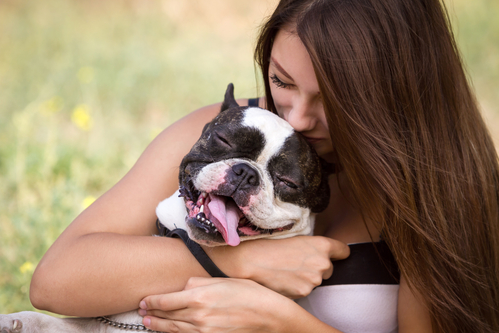 As pet parents, we love our pets like our children and want them to always feel well and live a long life. While we do our best to keep our pets healthy, our pets, just like us, can get issues with their skin, allergies or joints. And giving our pets’ supplements can be a real challenge. Well, Newflands Hoki Oil is a great tasting Omega 3 Oil that your cats and dogs will ingest heartily and thrive from the benefits! Omega fatty acids are called “essential fatty acids” because the body can’t produce them on their own, so we must supplement them in our pets’ diet to receive all the benefits! Omega fatty acids are required as a fuel for the body, help with joint issues, skin allergies and other ailments. The most easily digested source of Omega-3 and Omega-6 is fish oil which is why Newflands’ Hoki Oil was created. For dogs and cats suffering from allergies, omega fatty acids can help soothe your pets’ skin and alleviate allergies. Adding omega fatty acids into your pets’ diet will result in their coat becoming soft, full and luxuriously shiny. The most common benefit of these healthy oils can be seen in the amazing condition of a pet’s fur. The fish oils helps condition the coat and prevent dryness and dandruff, while helping heal various skin conditions, all of which can soothe an itchy dog or cat! Newflands’ Hoki Oil is easily digested by your pets and flavorful! The Newflands’ Hoki Oil is super healthy as it is high in Omegas that is from sustainably Hoki fish stock found only in the clear pristine waters around New Zealand. The Hoki Oil is a liquid oil which has a fish flavor that is easily digested when pumped into your pets’ food. The Oil is flushed with nitrogen to keep it fresh, filtered to remove any contaminants and human-safe pharmaceutical grade! With the easy to use 2ml pump, you can measure the exact amount you want to put in your cat or dogs’ food. Start with a small amount and the Hoki Oil is safe enough to add as much as you need on a daily basis. It is the easiest way to get your pets to actually ingest the supplement and they will love the fishy flavor. Cats and dogs have been known to steal the bottle and try to get some on their own! Omega fatty acids are a great way to strengthen your pets’ joints as they age. Just as we humans, especially women, take Omega 3 fatty acids to help support our joints, the benefits extend to your pets. The Oil can also help with cardiac care, cognitive function diabetes, arthritis, joint problems, and inflammatory bowel disease to slow down the ageing process. The benefits are endless! Fiona Robertson’s beautiful Newfoundland dog, Rosie, was diagnosed with Dilated Cardiomyopathy (DCM), a terminal heart condition common to the breed. Fiona, a qualified veterinary nurse, was not about to give up on her dog. Knowing the benefits of fish oil, Fiona decided to find a fish oil supplement that would improve the quality of her dog’s life and perhaps even prolong it. But Fiona wasn’t interested in any fish oil. Her fish oil supplement had to be sustainable and ethically sourced and produced. Furthermore she wanted a New Zealand product. It was with this love for her dog that Fiona created Newflands Hoki Oil and the results were and continue to be mind-blowing. Make sure to get Newflands’ Hoki Oil for your pets’ livelihood today. It will help with so many ailments and is super easy to use. You can find it on their site at Newflands.com or on Amazon! Can people take Hoki oil? ?